Name a hazardous workplace and Federal Signal provides a total solution for making the environment safer, smarter and compliant with your safety standards. Federal Signal Intercoms, Public Address / General Alarm Systems, and Audible and Visual Signals, Warning Sirens and Initiating Devices are certified for safe area, hazardous location and explosion proof applications. Our experts can design and integrate solutions that provide clear accurate communications, deliver critical process notification and reduce liability. 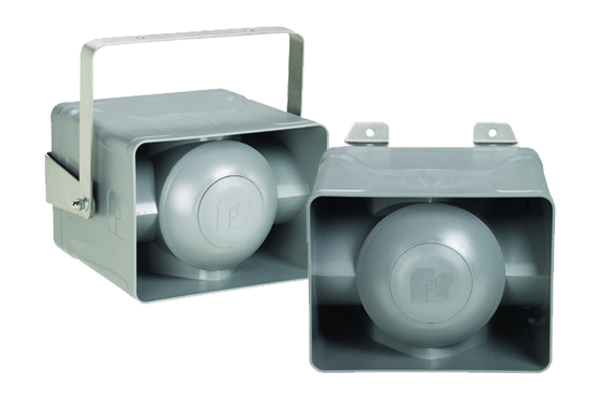 Federal Signal introduces the Global Series Signaling Platform (G-Series) designed for hazardous atmospheres. This innovative Next Generation line of non-metallic signals includes Strobe, LED, Sounder, Amplified Speaker and Loudspeaker Models. Delivering loud, clear tone notifications from an innovative patent pending design.